Do you have Defy Stain Color Help Questions? We love hearing from our customers who have used the Defy Extreme Stains or have questions. 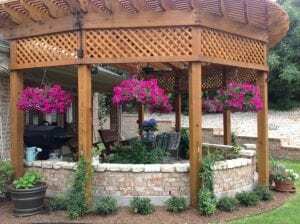 We appreciate your input, so feel free to leave a comment below and pictures of your completed projects if you have them. Defy Wood Stains come in a variety of semi-transparent colors that penetrate into your wood while enhancing the natural grain with colored pigments. *Important: There is not any difference in the colors between the different versions of Defy Stains. The final color for Defy Stains will vary depending on your wood. Each wood species will vary in color from each other while the age of the wood will have significant factors in the final color as well. This article will further explain the Defy Stain Colors to help you determine which is best for you. If you have questions, please ask below. Defy Natural Pine is the second most popular color in the Defy Stains. It is a golden color that will enhance the wood grain similar as if the wood is wet with water. Defy Cedartone Color is the most popular color. This color is a traditional Cedar color in that is an “orangy/gold”. Defy Light Walnut is not a straight brown color but rather a brown color with a hint of red. Great color and the 3rd most popular color in the Defy Stains! Defy Redwood is a medium red color that does not contain any other color highlights. This is a very popular color for Redwood Decking. 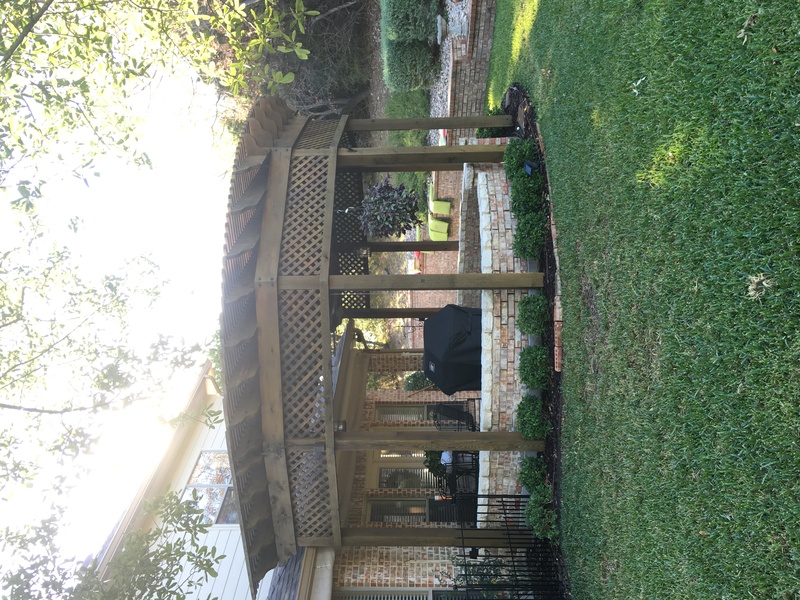 The Defy Driftwood Gray is a great color choice for customers who are looking for that oxidized rustic look but still want to protect the wood from natural weathering. Defy Butternut is a brand new color for 2013! This color will fill the void for a medium to darker brown stain that the Defy brand was lacking. Defy Clear is for customers who do not want to add any tint into their stain but still want to protect from water and mold damage. The Defy Clear offers limited UV resistance as exposed wood will need to be coated annually if you want to prevent graying. Feel free to ask any questions in the comment area below. 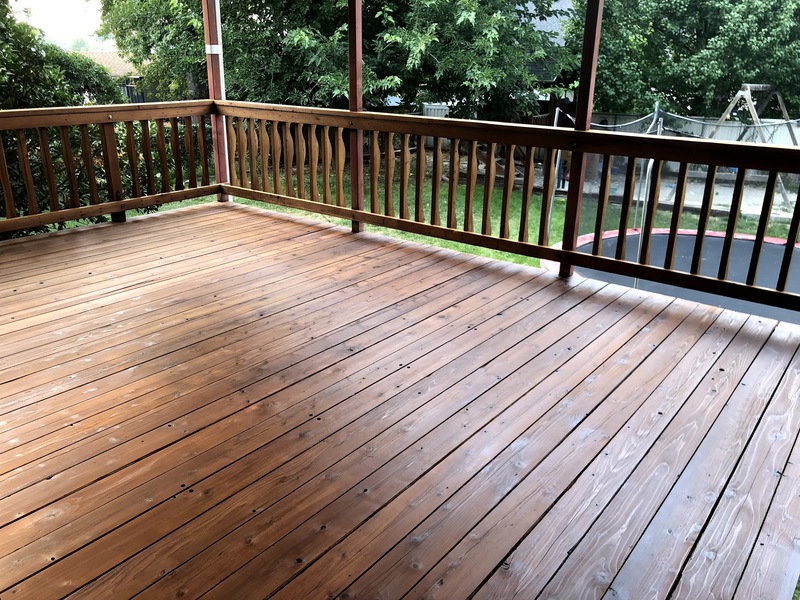 I have a 15 year old deck with multiple years of staining and graying. The upper deck has a railing. It has held onto the barn red stain put on it before. We want to change to a more neutral color like the butternut. 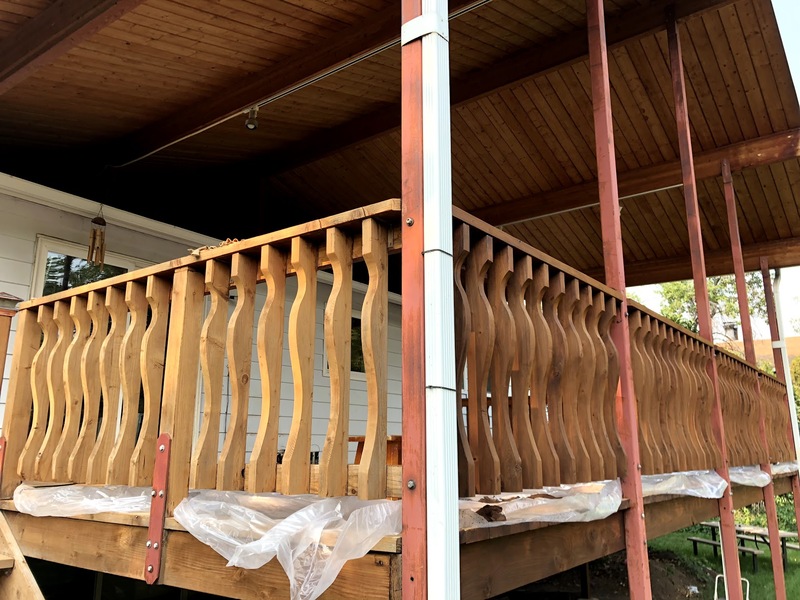 How do I prep those spindles so they will be same color as deck? Will the stain stripper and power washer work well enough to get it back to a neutral base? Or should I give up and just use the redwood again? A stain stripper will not remove a solid stain. You will have to stay with a solid color stain. We do not sell the solid stains on this website. We are using new treated pine for our deck. Will the Defy Extreme do well on new wood. I’m new at trying to figure out what is best. So if I understand about your stains, I will not need to put anything else on the deck to repel water? I thought I was going to have to buy two different types of applications. You cannot apply a sealer over a deck stain like the Defy and there would be no need. 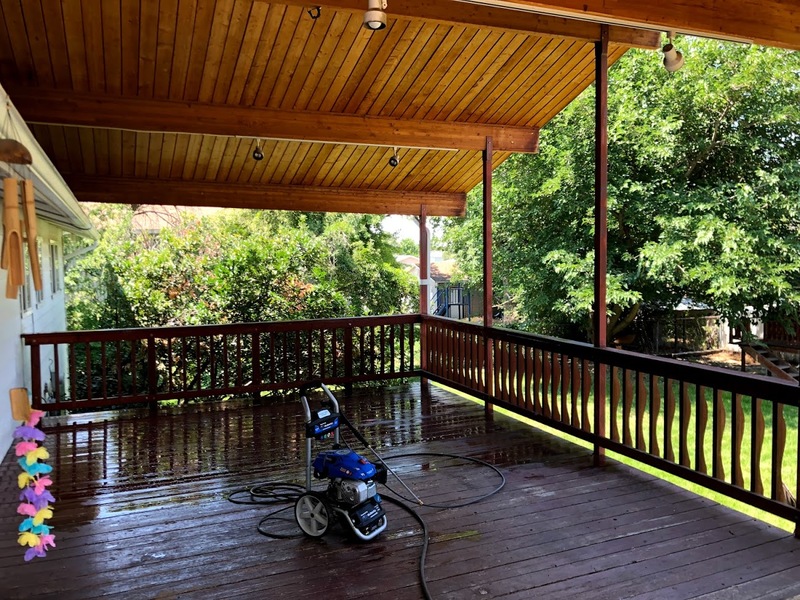 I ‘m refinishing an old solid stain redwood deck (powerwashed, stripped, sanded, and brightened). I had purchased Sherwin Williams stain, but have returned in in favor or Defy Extreme based on your online reviews, so thanks to the great community here. We’d like a deep reddish brown (not orange) color and I’m considering mixing Redwood + Butternut OR Redwood + Light Walnut. Any thoughts on what mix work best? Two photos (one before stripping and another showing current pre-stain state). Best to get some samples to test this. Most likely would be Butternut with some Redwood. I decided to go for it without a sample and mixed Butternut and Redwood half and half. Attaching a couple pictures for anyone interested in the outcome on an aged redwood deck. Goes on dark brown and dries beautifully. In shade looks more red, in sunlight, more golden brown. Love the result! We just bought a weathered mahogany outdoor dining table/chairs and we kinda would like to maintain the gray finish. We plan to clean it up and sand it. Should we finish it with the Defy clear or the driftwood gray? 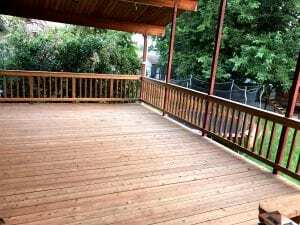 how many galllons required for 1,700 square feet of decking? For two coats, about 15-17 gallons. 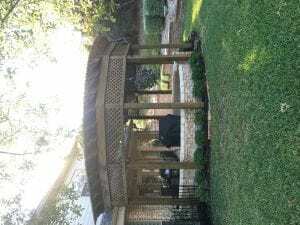 What color stain in Defy Extreme would you say matches this color when my pergola was first stained. It was stained with Sikkens I believe. 4th pic is what it looks like now. Light walnut would be closest. You cannot apply the Defy over the Sikkens. That must be stripped off first and then brightened. About 4 gallons, More if you have railings and steps. 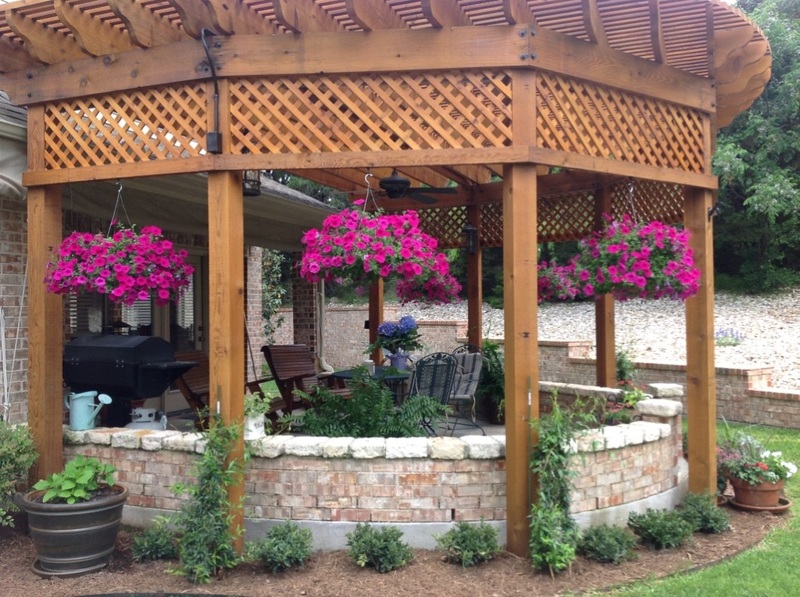 what product do you recommend for an IPE deck to retain dark color without graying? 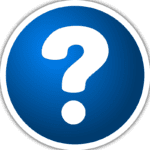 Can I mix defy extreme clear with natural cedar? Can the different color stains be mixed together to make a different color? I’d like a brown with some gray tones to it. Any thoughts? Yes, you can mix colors. Our covered cedar deck was stained some 10 years ago. 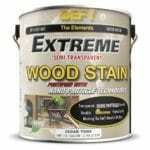 Do we need to strip the old stain prior to using Defy Extreme? Does defy extreme clear make deck look wet or does it go on invisible? The Extreme Clear does not change or enhance the wood grain. Best to use the Defy Hardwood Stain in the Natural Pine tint for a “wet look” to the wood. If I have just finished applying the Clear tone and decide I want a little color – do I have to strip the stain I just applied to add a different color? You would have to strip it to apply a different color. Can I mix butternut and driftwood extreme together? Here it goes. 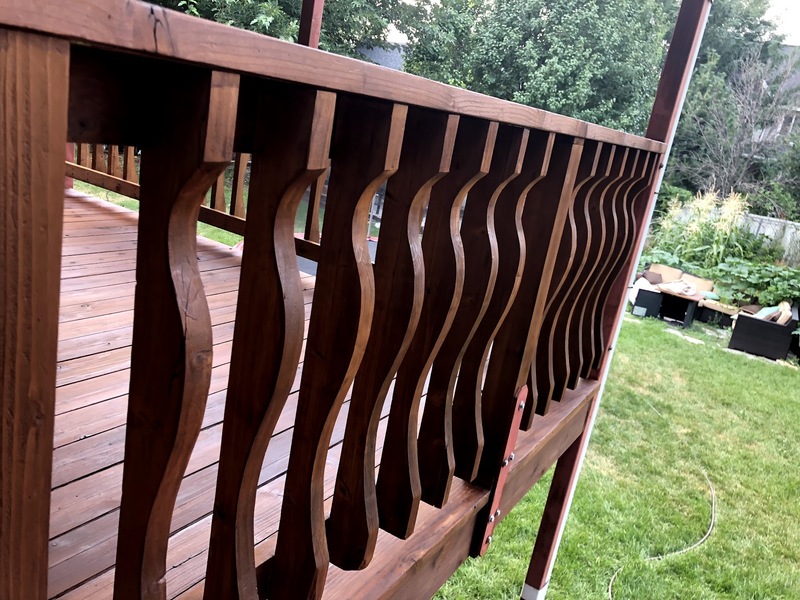 After doing a couple days of research on deck staining, it has led me to this website as the Defy Extreme line is very highly recommended. I need help picking a color. I dont want to end up with an “orangy” color. I will be milling the wood myself, rough cut fir. Tops will be lightly sanded and the edges routed. The wood will be less than 6 months from when the tree was downed. Maximum protection/penetration is most important. What color would be best suitable for fir? Try the Butternut for a Brown or the Natural Pine for a golden tint. We used Defy driftwood on our deck a couple of years ago, but the boards were laid so the cupped up slightly at the edges. I decided to sand them flat before reapplying. After sanding should I still clean/powerwash and brighten before restaining? For repair work I need a darker stain to match my existing color. Can the Cedartone be tinted and if so, what with? Sorry but the Defy Stains cannot be tinted. did my question go through? 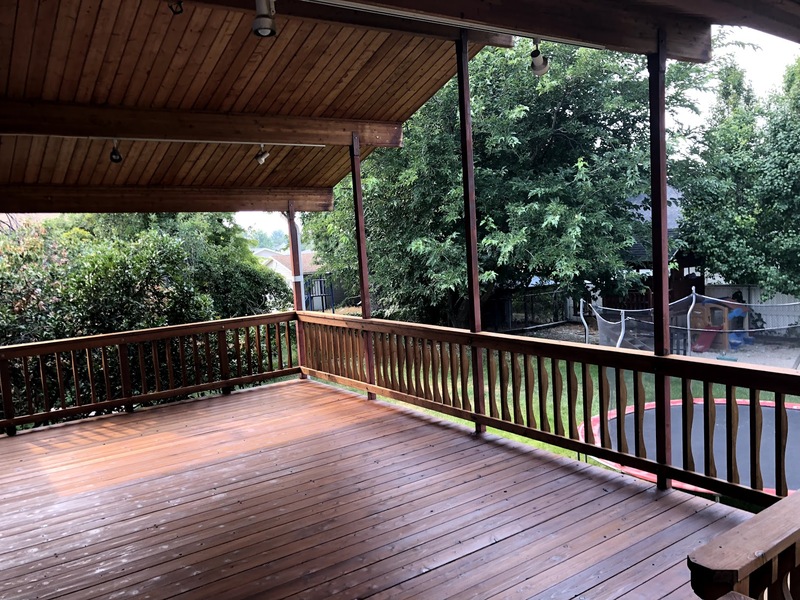 I am looking for a deck stain that’s not “natural” wood color. Pressure treated wood is ugly anyway so why pretend it is redwood or something else worthy of showing off. I am looking for blue-grey. More blue than the grey you have. There is not a blue gray color in the Defy line. There is a Driftwood Gray. 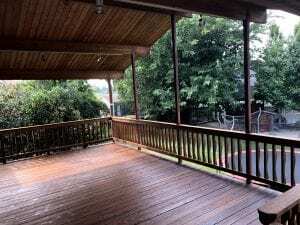 I have a new Deck it was installed last April,Do I need to use your cleaner first and how much will it take ,the deck is 20ft by 15 with grill bump out of 3×6. 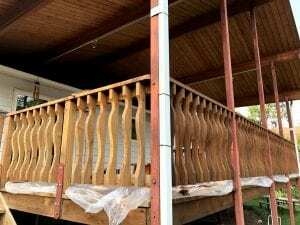 And how stain would be needed for this deck ,it has 2 sets of stairs with 5 steps the deck also has rails on all sides. Appreciate any help and input thank you. Yes, you will need to clean and brighten for prep. See the calculator on the right side column of this page for the amount needed. I am putting a new aluminium dock in May-June 2017 . The decking is red cedar. I was hoping for a product that does not need recoating every year. I am a bit concerned that the Clear Extreme product has a statement to the effect that it should be reapplied every year to prevent greying, this tell me that the aluminium oxide is not effective for very long. Would cedar tone stretch that out. My primary concern is preserving the wood in a humid environment, the appearance is secondary. Any thought on durability of Clear Vs Cedar tone? 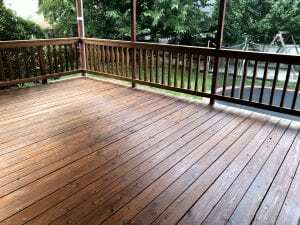 I have a 3 month old PT pine deck and plan to use a cleaner and brightener. I would like to verify the correct timing and sequence – apply cleaner, power wash (how soon after applying cleaner? ), apply brightener (how soon), power wash again? Wait several days, then stain? 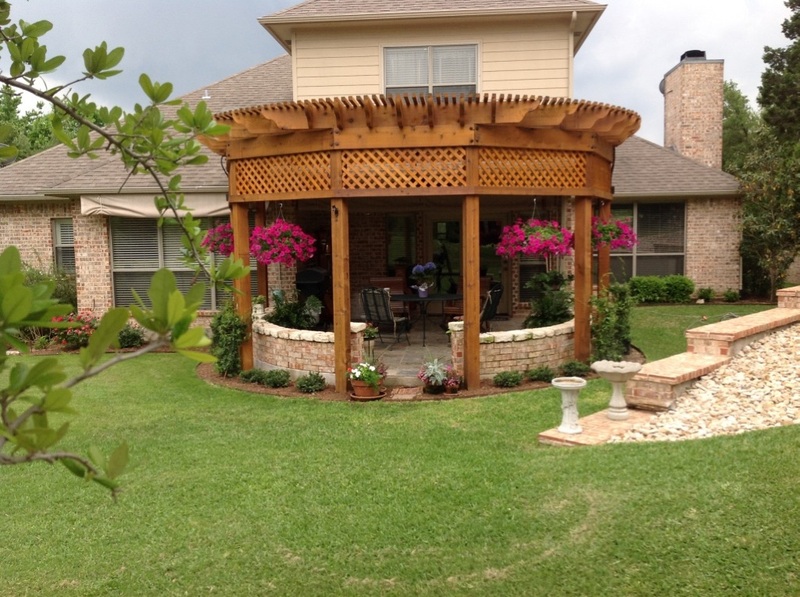 Apply cleaner and pressure wash after 15 minutes, clean entire deck and rinse well with water. apply Brightener while wood is wet. Wait 15 minutes and rinse only. Let dry for 48 hours before applying the Defy. I have 216 SF of pressure treated pine on deck that is 10 years old. problems with mildew and mold. I have prepared the surface. Desire water based stain. Do you have recommendation? Does Defy Extreme in natural pine tint work??? Yes the Defy Extreme is what you would want for this. Water based with excellent mold resistance. Natural Pine works well. I have a 9-yr old Tigerwood deck. 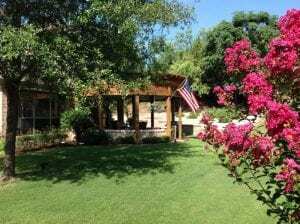 What stain would you recommend as I live at 8000 ft and the deck is in the sun from 10 am to 3 pm in the summer and gets hit with a lot of snow that I shovel off in the winter? I am going to have it sanded as it has not been restained as I have not had any luck with the Penofin stains and gave up, until I found your stain. All suggestions and recommendations are welcome. Thank you. Use the Defy Hardwood Stain for this woos type. You always will have to prep before reapplying. You cannot apply over dirt and oxidized wood cells. We would suggest using the Defy Wood Cleaner and pressure washing for the prep. It is easy and very cost effective. 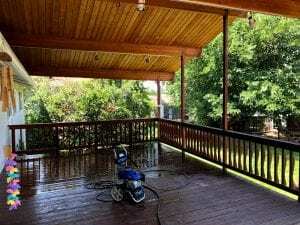 Can Defy Extreme be applied over Defy Extreme if deck is just power washed? You should use the Defy Wood Cleaner and pressure washing then you can apply over it. If I use the Defy clear this year, can I change to a tinted Defy stain next year without removing this year’s stain? You will most likely need to strip so it will penetrate into the wood and properly tint it. Is the Butternut darker than the Light Walnut? It doesn’t appear so on this webpage. Also do they both have a red tone ? Yes Butternut is darker. Light Walnut has a red tone while the Butternut typically is more brown. I have a cedar deck and have not had luck with the last brand of stain I ad used. A colleague referred me to your products. I want to really show the beautiful grain in the cedar that I have, is the Defy Natural Pine my best option? Would the Cedar Tone make it too orange? Yes the Natural Pine is more golden while the Cedartone can be more orange in color. Defy driftwood gray is the color we desire for our new cedar deck completed one week ago. Hopefully it will blend with the green grey wood trim of our home. How soon can we start preparing the deck for staining in western Washington? Also where can we purchase or see a sample of this shade of Defy near Tacoma, WA? Thank you for your products and support. Samples can be bought from our website. Thanks! that I was expecting. How to explain the difference in color? Mathieu, final colors for a semi-transparent stain will vary depending on the wood type, application method, age of wood, prepping, etc. We do offer samples for customers to test out prior to ordering. Does the red tone come from the wood (cedar) or is present in the butternut stain? Probably both but hard to say. Can you upload a picture? You can do it in a reply, small picture icon in bottom left corner. Stan, the Defy Extreme Clear looks milky white in the container but dries clear with not change in appearance to the wood. For a tongue and groove ceiling with indirect sunlight, the Defy Extreme Clear would work extremely well! Does the Defy Clear have any color at all? We want to use this on a cedar tongue and groove ceiling and we do not want to alter the look.